You are here: Latest information - News - Maximising nutrients through tackling ammonia losses. 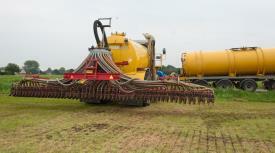 Maximising nutrients through tackling ammonia losses. Why is ammonia a problem? Ammonia is a volatile compound of nitrogen released when slurry, manure and nitrogen fertilisers come into contact with air. When ammonia mixes with other pollutants, such as diesel fumes, it forms tiny toxic particles called ‘particulate matter’, which are harmful to health. Ammonia deposition can also lead to soil acidification and excessive nitrogen in sensitive habitats, reducing biodiversity. The government has international commitments to reduce ammonia emissions by 8% by 2020 and 16% by 2030, compared to 2005. These targets are unaffected by Brexit. Nutrient management planning can reduce ammonia emissions and save farms money. By matching crop or grass requirements to manure and fertiliser use, over-application can be avoided which has no additional benefits, saving money on bought-in fertiliser costs. Getting the right balance of nutrients also helps to get the best performance from your crop or animals. Currently, government is asking farmers to make changes voluntarily. However, significant uptake is required to avoid being forced into a regulated regime. Large, intensive poultry and pig units are already regulated through permit conditions. To maximise the benefits of your actions, it is important to make changes to reduce ammonia at every stage from feeding through to manure spreading. For example, if you successfully contain ammonia during manure storage, it can then be lost if low-emission spreading techniques are not used. Wash housing and collection points regularly as manures exposed to air emit ammonia. In new buildings, install effective scraper units. Fix rigid, flexible or floating covers to slurry tanks and lagoons to reduce contact with air or consider slurry storage bags. Covering manure heaps with sheeting also helps. Incorporate manures to bare soil quickly, ideally within 4 to 6 hours of spreading. Avoid applying ammonium sulphate on calcareous soils - the high pH increases ammonia emissions. Interested in learning more? 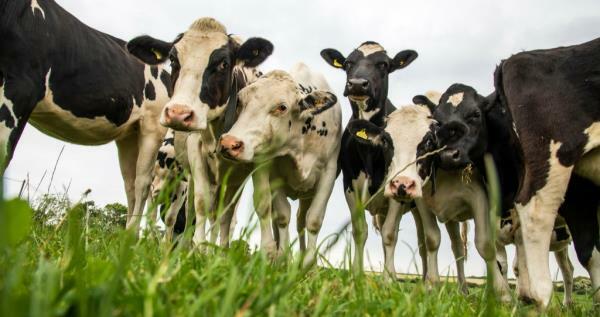 The Campaign for the Farmed Environment (CFE) are holding 10 free workshops for dairy and livestock farmers this March and April to find out more about nutrient planning, managing manure and slurry, and reducing losses to air and water. To find your nearest event, go to www.cfeonline.org.uk/events. 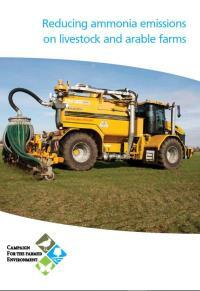 Download the new CFE guide on reducing ammonia emissions.